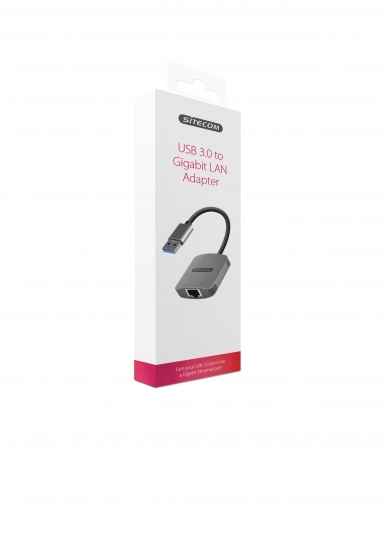 The CN-341 USB 3.0 to Gigabit LAN Adapter adds an RJ45 Ethernet port to a USB-enabled desktop PC or notebook, with support for Gigabit network connections at full bandwidth. It enables you to easily connect your desktop PC or notebook to a wired Gigabit network via USB. It is the perfect solution for desktop PC’s and notebooks without an RJ45 network connection, when WiFi is not available or when you prefer a fast wired network connection. The CN-341 USB 3.0 to Gigabit LAN Adapter supports 10/100/1000Mbps auto-detection. The USB 3.0 technology supports Gigabit network connections at full bandwidth, unlike USB 2.0 adapters. 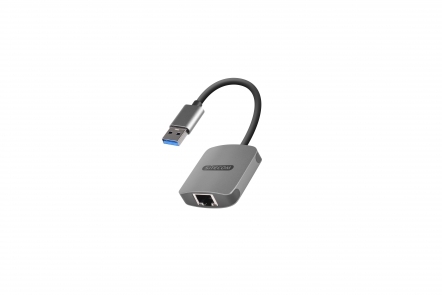 The CN-341 USB 3.0 to Gigabit LAN Adapter is backwards compatible with USB 2.0. It is fully Plug & Play, which means that no additional driver software is required. Powered directly from the USB port.